Android - How to open the Hangout app from a Hangout URL displayed in the webview? 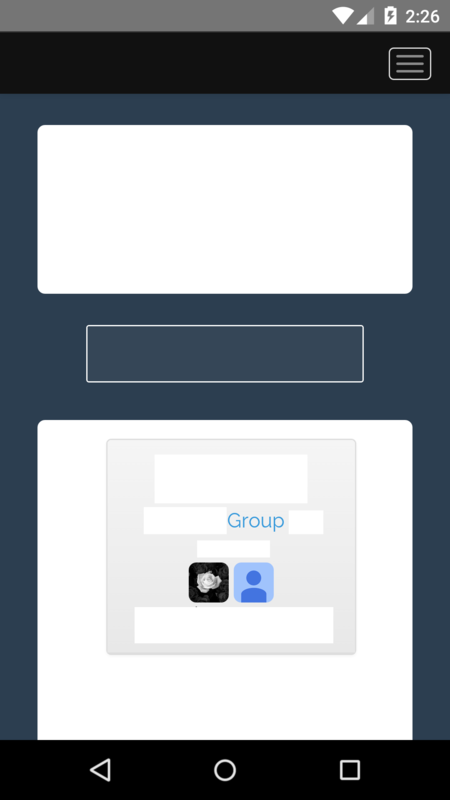 I just made an Android app where I am displaying my website in a webview. My webpage has many links to Google Hangouts URL (https://talkgadget.google.com/hangouts/_/g23uuqx.......) in which there are people in a call. When this link is clicked on a Desktop's browser, the URL gets opened in a new tab and the user is able to join the Google Hangout call. When this link is clicked on a Mobile's browser, the hangout app get's opened and the user is able to join the call. How can have the same effect when the link is clicked in WebView? When I open the hangout URL in mobile app(webview), it opens the google play webpage in my app(webview) and asks me to install hangout which I already have installed. 1) How do I open the hangout app from my app which has hangout URLs of this form(https://talkgadget.google.com/hangouts/_/g23uuqx.......) in the webview of my app? 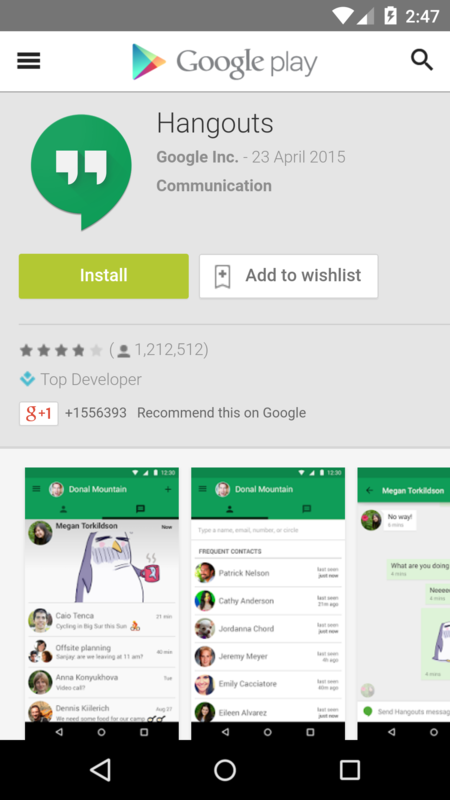 2) How to open Google playstore app and inform the user to Install Google Hangout app in order to join the call? Install (or Enable) Chrome.app on your device. [Optional] Clear defaults from all browsers. This is more a browser-wars thing than anything else. Below is my solution from a user perspective. I saw a monkey-path fix on Google's Product Forums which advises us to manually type in the Hangouts link into Google Search. This works. This would open Hangouts, ask for authentication with the account you wish to use (assuming you have multiple Google accounts on your phone), and lead you straight to the call on Hangouts. This, however, is cumbersome. Not the answer you're looking for? Browse other questions tagged android android-intent webview google-plus hangout or ask your own question. How to open specific link in android webview app?